September marks the 30th anniversary of Library Card Sign-up Month—a time when the American Library Association (ALA) joins public libraries nationwide to highlight the value of a library card. Since 1987, Library Card Sign-up Month has been held each September to mark the beginning of the school year. 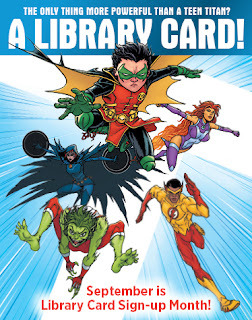 Libraries work to remind parents and youth that signing up for a library card is the first step towards academic achievement and lifelong learning. 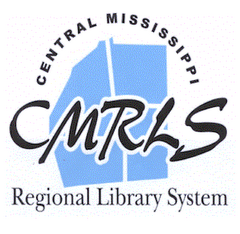 Throughout the school year, Central Mississippi Regional Library System’s library staff will assist parents and caregivers with saving hundreds of dollars on educational resources and services for students. From free access to programs/activities, in-person and virtual homework help, technology workshops, to the expertise of librarians, a library card is one of the most cost-effective back to school supplies available. How much money can a free Library Card save you? If you borrow one adult book ($17.00), one children’s book ($17.00), one eBook ($15.00), read one magazine ($5.00), watch one movie ($4.00), download 5 songs ($5.00), and access World Book Online one time ($19.95) your Library Card would have saved you $82.95! In reality, your CMRLS Library Card could save you as much as $1,000.00 or more each year! This is one reason approximately two-thirds of Americans have library cards. During Library Card Sign-up Month crime fighting DC Super Heroes, the Teen Titans, are teaming up with the ALA to encourage k-12 students to sign-up for a free library card. Students with CMRLS Library Cards have free access to the superpower of approximately 500,000 books, magazines, numerous databases for research, public access computers, free Wi-Fi, and friendly, knowledgeable staff to help find material needed for homework assignments. CMRLS Library Cards are free to anyone living, working, or attending school in Rankin, Scott, Simpson, and Smith Counties. Youth under the age of 18 must be accompanied by a parent or guardian with a current ID and address to apply for a Library Card. For further information contact a CMRLS Library near you. These are located in Flowood, Pearl, Brandon, Puckett, Pelahatchie, Florence, at the Reservoir, Richland, and Sandhill in Rankin County; Forest, Morton, Sebastopol, and Lake in Scott County; Magee, Mendenhall, and Harrisville in Simpson County; and Mize, Polkville, Raleigh, and Taylorsville in Smith County.